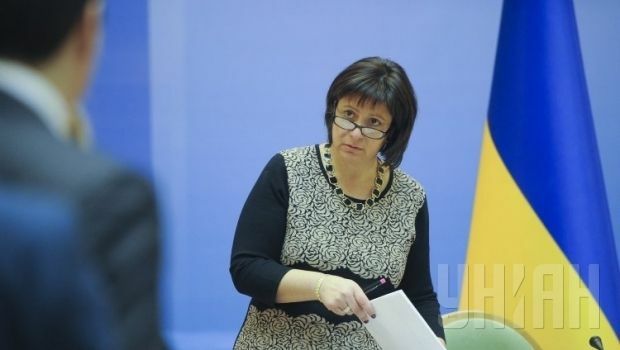 The G7 and G20 countries should increase their assistance to Ukraine, Ukrainian Finance Minister Natalia Jaresko has said in an interview with the UK newspaper The Financial Times, Ukrainian news agency RBC-Ukraine has reported. According to Jaresko, Kyiv will need a lot more than the $25 billion pledged by the IMF and other countries. "Everyone should understand that now it is excellent time to invest in a country that has been living and dying for the sake of the principles of freedom, democracy and for European values," Jaresko said. "I firmly believe that the G7 and G20 should now provide greater assistance to Ukraine," she added. According to the minister, the IMF's decision to allocate $40 billion for Ukraine in the next four years will help stabilize Ukraine’s banking system, but this bailout should be just the first step in providing financial assistance to Kyiv.